Personal Quote: "Another day, another dollar"
I've not been on this site too much or any other site, but I see I still get hits here. All I can really say is thank you! Not too fond of my older stuff, but I'm not one to rewrite history! Let it stay in the archives for all who'd wish to see it. As for how I'm doing, things are looking up. I've recently lifted a great load from my shoulders, and I've been feeling a lot better. Said load has caused me to neglect everything for way too long, and I'm really wanting to get back into the swing of things! I've been playing a lot of Sonic Mania lately (FANTASTIC game btw!) as well as absorbing loads of Sonic hacks and media to get myself back in the swing of things so I can resume work on Team Cyclone. 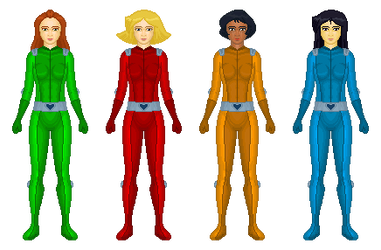 Speaking of Team Cyclone and The S Factor, I regret to say that I lost the main sprite sheets I had in a HDD failure some time ago. Not only that, but the media I had them backed up on also died. It's not a complete wash however, because the game itself was in a different directory, as well as re-versioned on a SVN client. All of the sprites that are in the game are fine, but the ones I hadn't committed yet are lost. However, this is just a fine time to not only add Blaze (the cat's been out of the bag on that one for a while I think, no pun intended) but also touch up the other sprites as well, since I know a whole lot more now than I did then. I think that's roughly it, or at least all I can think of on the spot. As for this formatting, I'll update it eventually. Are You The Creator Of The S Factor ? Hey, Aquaslash, did you know Netflix took Sonia Channel Rethread and edited it into the new thumbnail? Ayyy. It's pretty obvious that you're the Aquaslash that made The S Factor. Speaking of which, I've had a few questions and sightings about the hack itself. 1. What is with the extra cheat codes like "emerald"? The game states you unlock Knuckles, but he doesn't show up. 2. The wiki page stated that the extra characters only show up after fulfilling certain conditions, assuming it's the missions. I did do the mission rush as well, but no luck. 3. Ocean Trench Zone just redirects the player to the first zone. 4. Was Scourge removed from the latest version? That's all I really have for questions, as of right now. Hopefully you can answer these questions, since I am really interested and questioning these things I noticed. Also I have a repro of the latest version!